Our friends introduced this yummy Ulavacharu recipe to us. 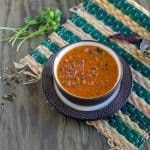 It’s a perfect winter recipe as horse gram is known for its heat-producing properties. Every year we get our share of Ulavacharu, but this year I decided to step up and learn the recipe from them and make it myself. I successfully did it. 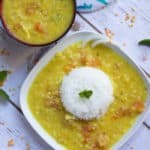 While experimenting the Ulava Charu recipe, I realized that we could make biryani as well and wasn’t that enough to intrigue me? I know I should have posted the charu recipe first before the biryani. But I posted the biryani picture on my IG, and many asked for the recipe. Hence I decided to post the biryani recipe first and then the charu recipe. I clubbed my friend’s biryani recipe and Vah Chef’s ulavacharu biryani recipe with my variations. 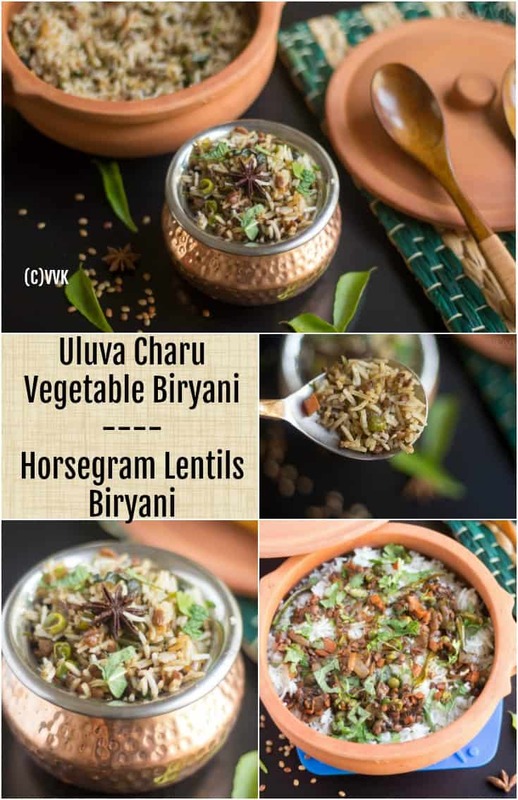 And here it is my version of Ulava Charu Biryani Recipe. Please do try and let me know how it turned out. 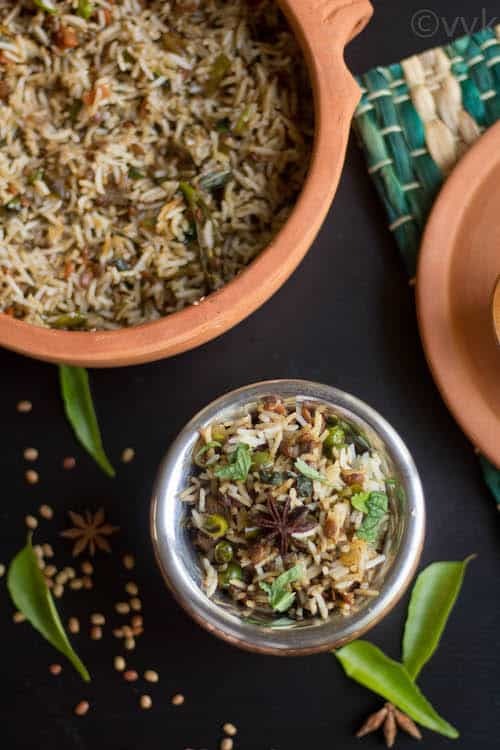 This biryani has a unique flavor, and the curry leaves elevate and brings out that distinct taste. Please do not skip the curry leaves. 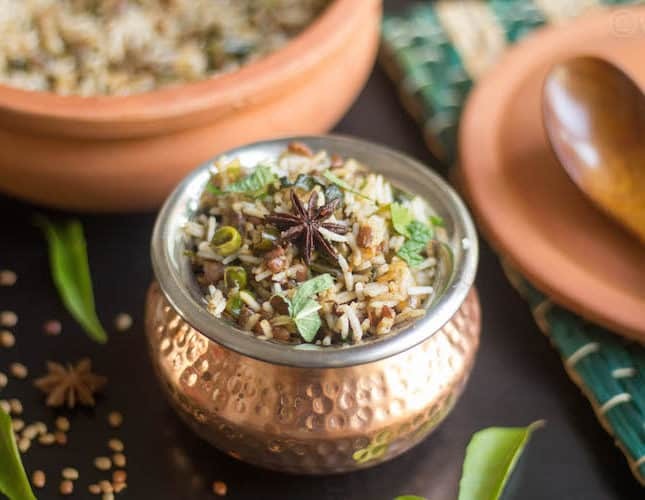 :-) The “dum” process infuses the flavors brilliantly and makes this biryani an oh-so-delicious one. But if time is pressing, you can cook rice directly too, but if you get a chance, please opt for the Dum process. I went with less spice so that vaandu can relish (yes, it’s a kiddo approved recipe as well) but you can modify it as per your preference. 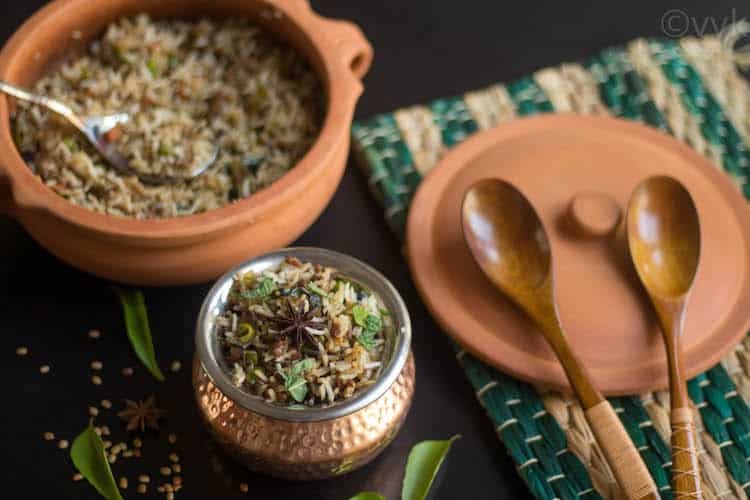 The ingredient list and steps might seem to be lengthy, but as always if you plan well ahead your can prepare this biryani easily. 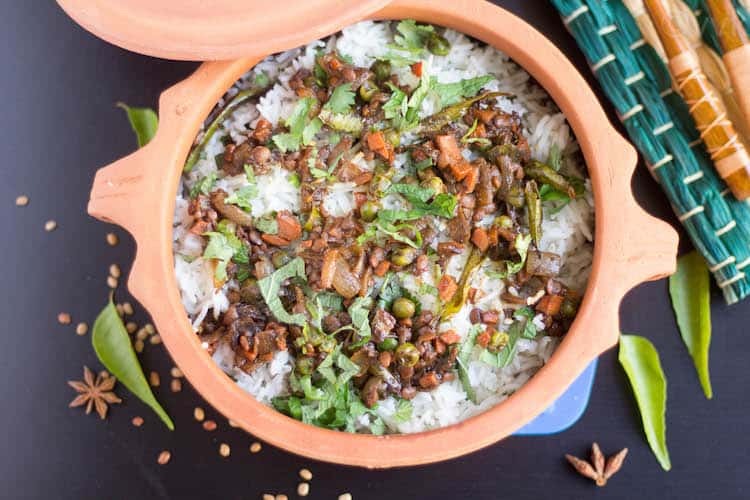 A traditional and authentic recipe from Andhra/Telangana prepared with cooked horse gram water, vegetables and of course with exotic biryani spices. Wash the horse gram at least twice and let it soak for a minimum of 8 hours in 2 cups of water. After 8 hours, do not discard the water used for soaking. 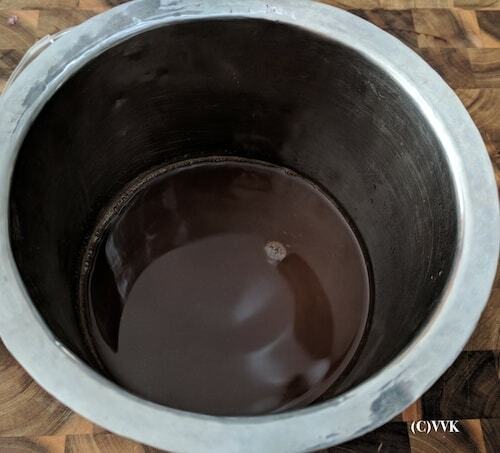 Pressure cook the soaked horse gram along with the water used for soaking for three whistles and after three whistles, reduce the heat to low and let it cook over low flame for 30 minutes. Ignore the whistles during that time. Allow the pressure to release and reserve 1 cup of the cooked horse gram water and 1/3 cup of cooked horse gram. 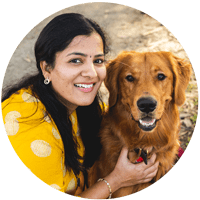 You can use the rest for preparing rasam or chutney or masiyal or sundal. Note: You can cook the rice and biryani masala simultaneously. But I am breaking it down into different steps. 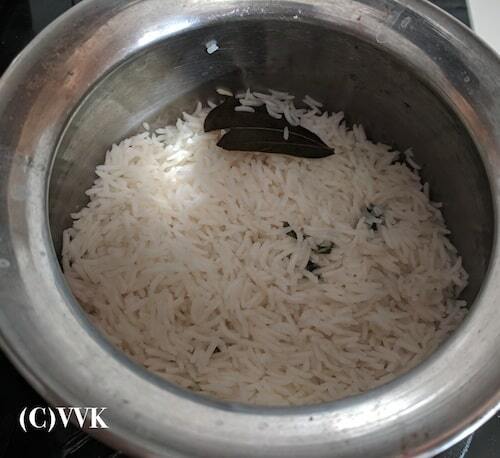 Wash the basmati rice and soak it in water for about 20 to 30 minutes and drain the water. Meanwhile, add 2 cups of water a pan or pot. 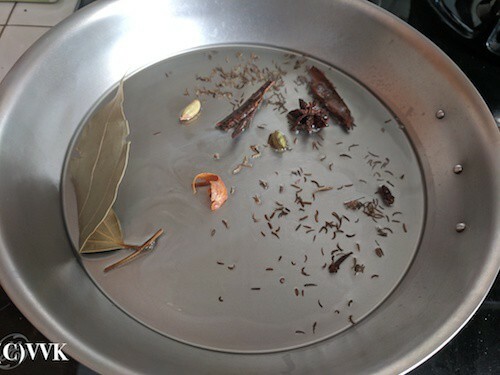 Add the mint leaves, bay leaf, salt, and oil to the water and bring it to boil. 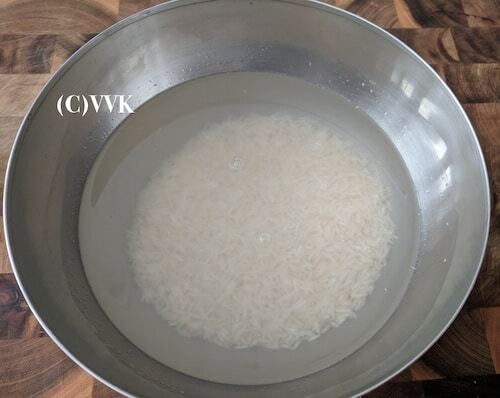 When the water boils, add the soaked and drained basmati rice. Let it cook over medium flame until it is 80% done. We do not want the rice to cook thoroughly. This ensures non-sticky grainy rice after the dum process. Chop the onion, mint, cilantro, and carrot. If using frozen peas, thaw the peas. 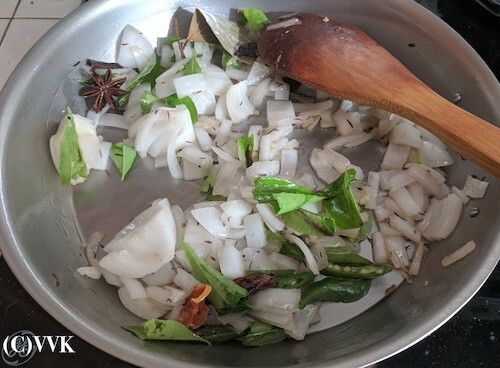 Fry the spices for 30 seconds over medium flame and then add the chopped onion, curry leaves and slit green chilies. 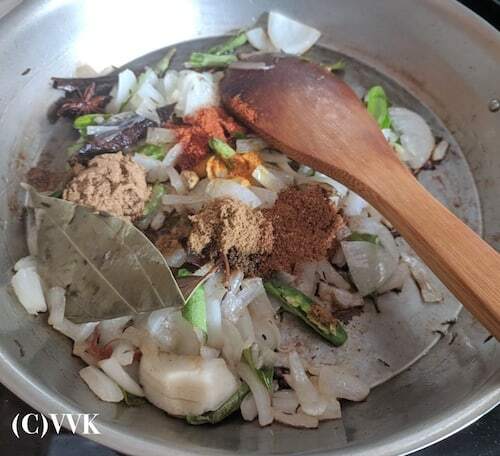 Then add the dry spice powders – coriander powder, cumin powder, red chili powder, black stone flower powder, garam masala, turmeric powder. 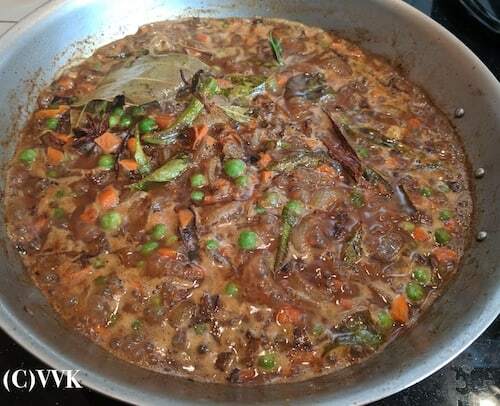 Mix them nicely and add the chopped carrots, peas and salt. 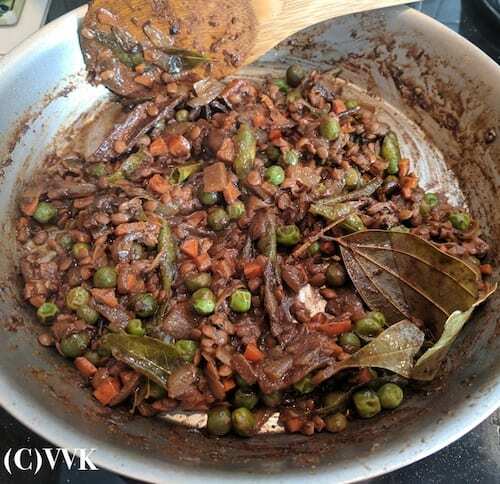 At this stage, add the horse gram water / Ulava charu and tamarind paste. 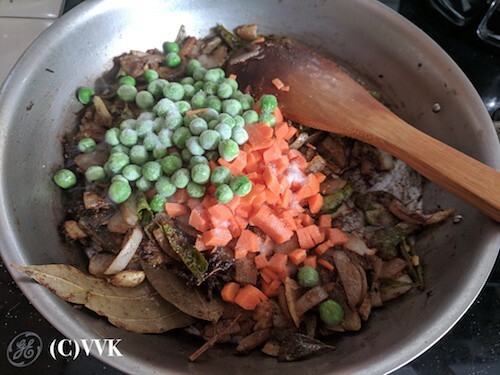 Mix all the ingredients and let this mixture cook until 80% of the water is evaporated and until carrot and peas are tender. 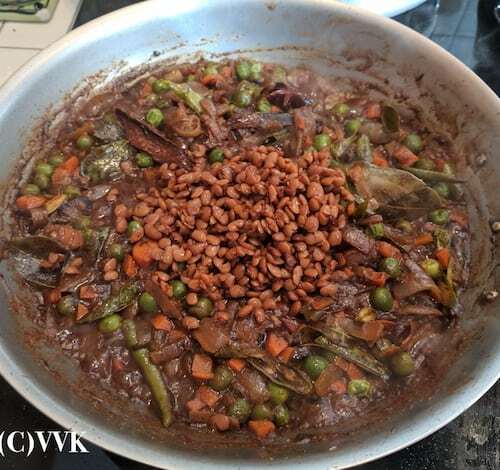 Finally, add the 1/3 cup of cooked horse gram and let it cook for just 2 to 3 minutes. Then turn the heat off. Spread some ghee in the pan or pot in which you are going to set the dum. I used my clay pot for this. First spread the 80% cooked rice evenly. Then sprinkle some chopped mint and cilantro leaves. Then spread the biryani masala evenly like below. Follow the same process and layer the biryani with the rest of the masala, rice and mint-cilantro mix. Cover this biryani tightly and cook this over low flame for 10 minutes. And that’s it. Ulavacharu biryani is ready. Let it cool down for 10 minutes and then using a fork, slowly mix the biryani. 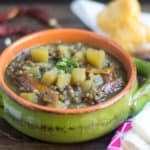 Serve it hot with raita or any of your favorite gravies. As you can see, I did not add any ginger garlic paste. But you can include up to 1 tsp for this measure. If you don’t have tamarind paste, soak small betel nut sized tamarind in 1/2 cup of water and extract thick juice. Add about 2 tbsps of the extract. Instead of black stone flower powder, you can use the whole flower too. In that case, you can add it in the beginning along with other whole spices. 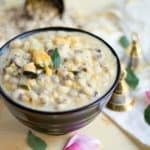 Including cooked horsegram lentil is entirely optional, But it gave a good texture and a crunch to the biryani. So I would recommend adding a small amount. It also balances the flavor. Then add the dry spice powders - coriander powder, cumin powder, red chili powder, black stone flower powder, garam masala, turmeric powder. At this stage, add the horse gram water / Uluva charu and tamarind paste. And that's it. Ulava charu biryani is ready. If you don't have tamarind paste, soak small betel nut sized tamarind in 1/2 cup of water and extract thick juice. Add about 2 tbsps of the extract. You can add veggies of your choice. 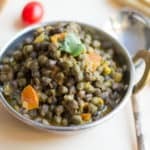 Including cooked horsegram lentil is entirely optional, But it gave a good texture and a crunch to the biryani. So I would recommend adding a small amount. It also balances the flavor. Thank you for sharing a nice recipe. Thanks da. Please let me know how you liked it. A Bowl Full of health!! Lovely post!